The 5th Sanriku International Arts Festival "YADORU"
The Japan Foundation Asia Center will hold the "Sanriku International Arts Festival (SAN Fes)" from 9th of February to 24th of March in 2019 together with co-organisers, Sanriku International Arts Promotion Committee and Japan Contemporary Dance Network at the coastal area of the Sanriku region that stretches out over 600 km. 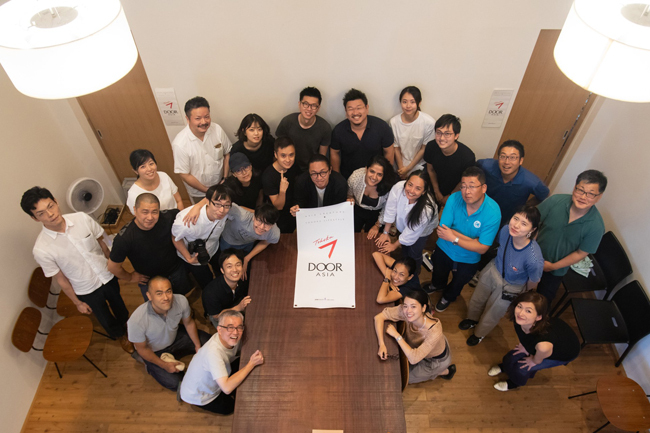 To further connect the Sanriku region with Asia, 5 collaborative projects called, "Sanriku×Asia Tsunagaru Project" will also be held during the festival. During the projects, various cultural exchange events will be carried out. 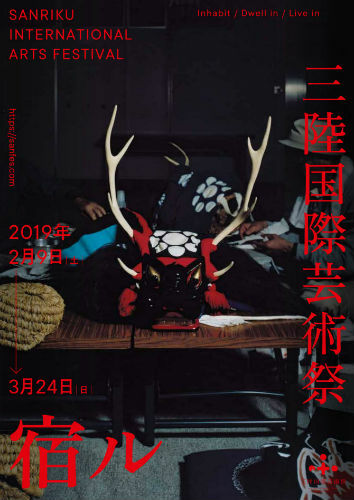 The theme of this year's Sanriku International Arts Festival is YADORU, meaning "Inhabit/ Dwell in/ Live in". 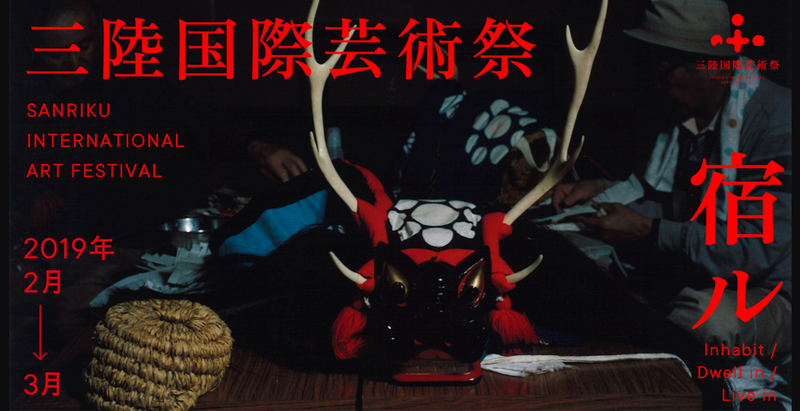 Since ancient times, the people of Sanriku take on the form of beasts never before seen in the real world and pay visits to local homes, spreading good fortune and offering comfort to the spirits of those who have passed away. 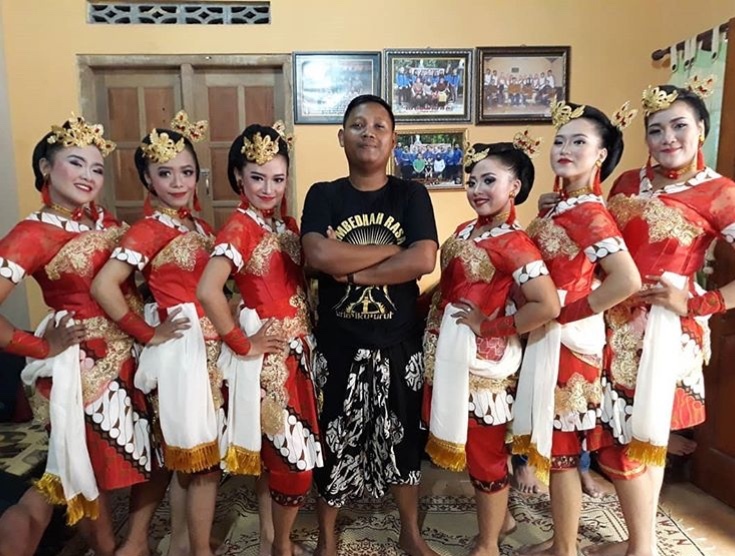 This year two traditional dance performing groups from Indonesia will come to the Sanriku area to join SAN Fes and dance together with the local performing groups of the Sanriku area to convey the spirits of YADORU by offering unique dances. This year marks the 8th anniversary since the March 11th Great East Earthquake, come and join SAN Fes and see the steady recovery of the tsunami affected Sanriku region. "Sanriku × Asia" is waiting for your visit. 4. HANDs! - Hope and Dreams - for Miyako! 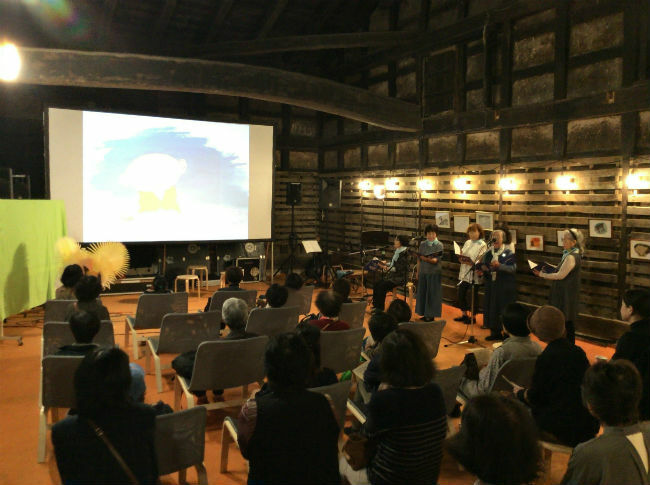 Starting with the opening ceremony at the new city office of Miyako city, Eastpia Miyako, visitors can enjoy various forms of Geinoh (Japanese folk performing arts), as well as a Geinoh tour, collaborated with Sanriku railway. In central Hachinohe city, there will be two programs, The first is open to the public and everyone can join. The other requires tickets to be purchased and is a theater-style event. 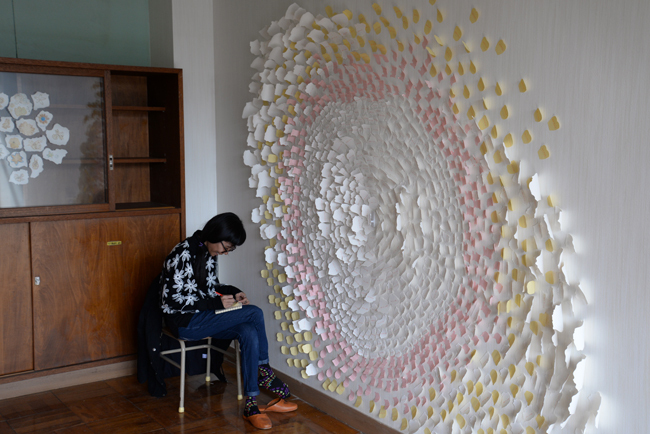 There will also be workshops organized by prominent Japanese artists. You can enjoy various forms of arts during the 2 days. In the centre of the "new town", in front of Ofunato Station, there will be a place for people to see Geinoh, both traditional and contemporary. There will also be workshops to learn Sanriku Geinoh as well as Indonesian folk performing dance. 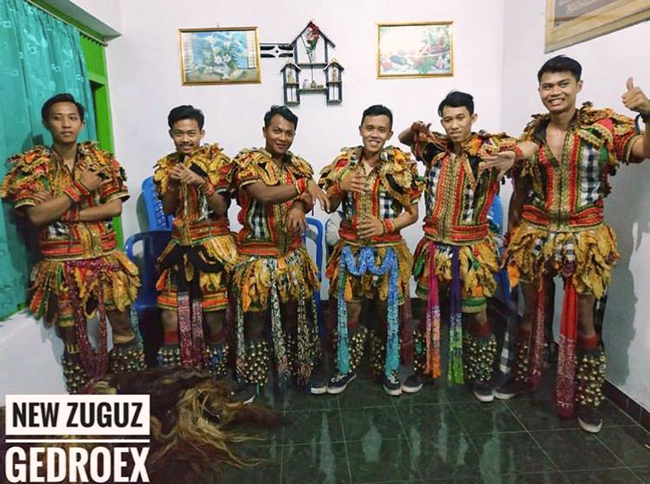 During the festival, you will also witness the collaboration of traditional Geinoh and contemporary dance. This project invites Indonesian people from Aceh, touring through the disaster areas of the Great East Japan Earthquake and will interact with local people. And we hold the symposium by people from Ache and Tohoku to have dialogue for the future beyond region and time. 1. 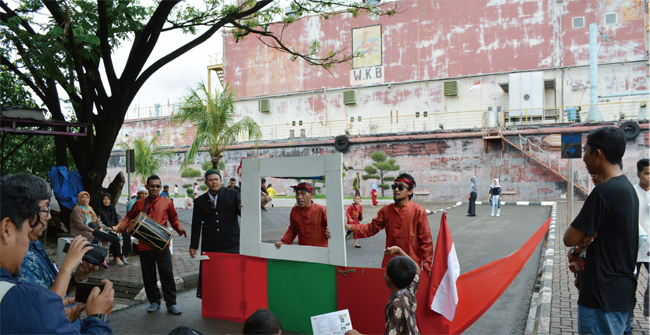 Sat, March 2 - Sun, March 24: Video Installation "Indonesian in Kesennuma"
3. Sun, March 17: Exchange Talk Meeting "Sanriku and Aceh, Dialogue to the Future"
We will hold a small festival to enjoy food, sake and art of "Asia x Sanriku". We will also hold exhibitions which show communication designs that have come out from collaborations with 30 Asian designers and local businesses for the past 4 years. This project consists of a flea market, workshops and exhibitions which are based in collaboration with local community and artists invited from Asian and the other countries. 4. HANDs! -Hope and Dreams- for Miyako! This project will invite Asian DRR (Disaster Risk Reduction) activist and social entrepreneurs to share their wisdoms and experiences to give back towards the people of Miyako. 1. Sat, March 9: Creative DRR education event "Iza! Kaeru Caravan x HANDs! Together"
2. Sun, March 10: Talk and discussion session "Let's talk about the Future of Miyako with Asian Friends!" Detail: Sanriku International Arts Festival 2019 "Sanriku×Asia Tsunagaru Project" HANDs! -Hope and Dreams- for Miyako! The venue of this event is the old merchant house "Azumaya," designated as a national tangible cultural property. Under the theme of "restoration and regeneration," the program will hold various cultural exchange events such as film screenings and art.